The Yacht Racing Forum in Geneva brought together 263 delegates to discuss the future of the sport and exchange best practice. Many hot topics were discussed, including the future of the sports governing body World Sailing, how to increase participation at grass roots level, sustainability issues, foiling, safety and how to build the commercial appeal of sailing at the top level. 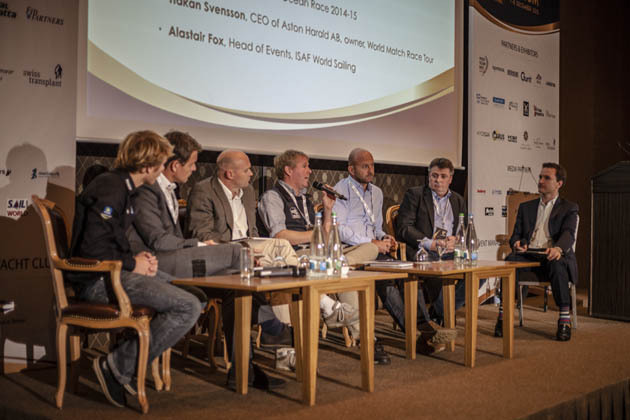 Geneva, December 8, 2015 – 263 key players from within the yacht racing industry spent two days in Geneva at the Yacht Racing Forum discussing the future of the sport, doing business and exchanging best practice. On day one, there were three separate conference streams: Business and Marketing, Design and Technology, and Risk Management and Safety. In Business and Marketing, Vice President of World Sailing Gary Jobson looked forward to much closer integration between sailing’s governing body and other branches of the sport. To emphasis this shift in focus, to a much more all-encompassing overview of sailing, Jobson also took the opportunity of the Forum to formally announce that the International Sailing Federation will from now on be known as World Sailing. In the Risk Management and Safety conference, the group discussed ways of mitigating risk and reassuring potential sponsors by identifying, understanding and anticipating risks. The Design & Technology Symposium convened in its 7th edition with a day of six in-depth discussions among experts from a wide variety of fields that all contribute to yacht performance. Moderated by Seahorse Magazine’s Dobbs Davis, the Symposium is an important adjunct event to the business of the sport by defining how the boats themselves can deliver the same excitement that energizes all those who participate in the game. Foiling technology is being seen to penetrate the sport in ways unimaginable just three years ago. More and more boats, both monohull and multihull, are sprouting foils, so attendees learned how they work, why they work, what performance gains they make, and how they can be controlled on boats as varied as AC 72’s, C-Class cats and the latest generation IMOCA 60’s. Advances in composite structures have progressed to where precise engineering is needed to optimize design. So the results from a lengthy and thorough study commissioned for the Volvo 65’s was revealed that measured static and dynamic loads throughout the race – this will provide a valuable dataset to help provide important calibration tools for designers, builders, engineers and even classification societies who wish to establish the acceptable structural standards for these designs. Other subjects also included sustainability solutions for composite construction and methods suggested to mitigate their effects, software integration tools and much more. The last session of the day focused on the joint efforts being made by designers and rating rule systems to create boats that are fast, fun and safe to race. 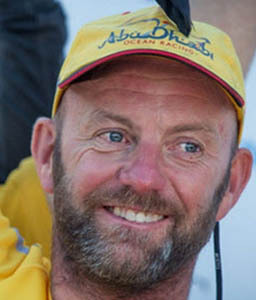 Winning skipper of the Volvo Ocean Race, Ian Walker, shared his passion for every level of the sport, and believed that in some developed nations, kids are being so overcoached to the point where they want to leave the sport in their late teens, never to return. ‘A sport for life’ is one of the themes behind ISAF’s rebranding to World Sailing, which Gary Jobson said was part of a move to make ISAF more relevant to all aspects of the sport. It has been a time of big change for the Federation, with the recent departure of Peter Sowrey after just five months as the first ever CEO of ISAF. Alastair Fox, head of Events at ISAF/World Sailing, said there were many reasons to be excited about the potential of Rio 2016 to showcase sailing to the world, whilst acknowledging the ongoing challenges of the venue, not least the widely reported problems of water pollution and the risk to the health of the athletes. The Federation, he said, had responded to the International Olympic Committee’s strong desire to see greater representation from emerging nations with a new continent-based qualification process for the Games. Bringing more women into the sport was another hot topic, and the Forum welcomed the observations of Gabriella Ekelund, vice-president at SCA, the Swedish consumer brand that supported Sam Davies and her female team in the Volvo Ocean Race. The Forum also explored the areas of the sport that are thriving at other tiers below the Grand Prix level, such as Oakcliff Sailing Center near New York, headed up by another female role model, former America’s Cup sailor Dawn Riley. Further down the east coast of the USA, Charleston Race Week has exploded from a hundred to more than 300 entries in the space of a few years, and event president Randy Draftz and his team always ask their customers what they could do better next year. A simple process of surveying your customers and striving to get ever closer to the perfect regatta experience. Simple advice, but very effective. There was a strong feeling in the Forum that sailing with its myriad disciplines and events is a very fragmented sport. But over the course of the two days, some like Ian Walker were coming round to the idea that maybe we should celebrate the diversity in the sport. However, brand expert Richard Moore, CEO of Capitalize, argued the case for a clearer pathway from grassroots level up to the top echelons of the sport. A Corinthian Championship For U.S. Yacht Clubs to gain a place in the New York Yacht Club Rolex Invitational Race.